Our services include: Water Well Drilling & Repair, Septic Systems, Well Plugging, and Pump Services for both residential and commercial customers. We are a family owned and operated business. When our technician comes out to your property, we will diagnose your issue and give it to you straight. We will treat you as family. We are available 24 hours a day, including all holidays. 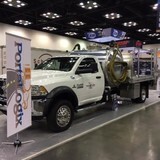 <a rel="nofollow" target="_blank" href="http://www.PortaLogix.com">http://www.PortaLogix.com</a> | 585-484-7009 | Putting Portable Restroom Companies on the road to success. When it comes to increasing profits & your bottom line in the porta-potty business, One Truck Literally Does It All! We're proud to say we've changed the game in the Portable Toilet industry! At PortaLogix, we are passionate about the Portable Restroom business. We bring over 50 years of combined experience in the portable restroom industry and will get your company back in the black. Our Trucks are designed to get more done with one truck. Our unique, patent pending design allows you to carry more water and waste as well as execute your delivery and pick up needs. These trucks have been tested and proven to give you the ROI we all look for in the Portable Restroom industry. Our Team will guide you with logistical solutions and equipment that will improve your day to day operations and improve your bottom line. Here are just a few vendors that use PortaLogix Portable Restroom Pump Trucks! 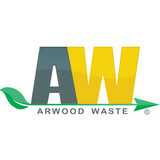 Waste Management, Republic Services, United Site Services, Waste Pro, Rent-A-Jon, Potty Pros, Mr. John, Callahead, Rumpke, Advanced Disposal, Waste Connections, Casella Waste, Waste Industries, Progressive Waste Solutions, Rock-Tenn, WCI Waste, Hoving Recycling & Disposal, A Co Inc, A Royal Flush, Enviroclean, Tidy Toilets, A Modern Sanitation, A&A Portables, Anderson Rentals, Pit Stop, Chem-Can Services, Blu Jon Portables, Right Way Disposal, American Marborg Satellite Industries, Royal Restrooms, PolyJon, Five Peaks, Poly Portables Mr. John, United Site Services, Rent-A-Jon, Portable Restroom, Lakeshore recycling & more! Call us today and speak directly with one of our representatives. Call: (585)484-7009. "Call us to Repair Before You REPLACE!!" We service All types of Environmental Systems and operational components and parts of entire SEPTIC, AEROBIC,LIFT Stations, Lint and Grease Traps. Offer all systems to be cleaned, serviced, repaired, replaced,; too include Maintenance, Service, and Quarterly Contracts,. We Have 5,000 PSI efficiency power wash and Jet line cleaning of Entire Systems. We Provide Full Service to all Aerobic Systems-maintenance, repairs, replacement parts, Electronic Controls and Alarms installation, septic plans drawn, troubleshooting, and so much more. We work under are own licensing and provide full septic service you do not have to call another company to do anything, we do it all! TCEQ Licensed, Bonded, and Insured. We also provide 24 hour Emergency Services and Fresh water to Aid FEMA Residential customers as well as Government Contractors, City and Local County entities and Municipalities for Disaster relief.Flood Relief and Vacuuming.Established in 1978. Ace Septic and Plumbing Co. We are a family owned and operated service company that has consistently grown since we opened in 1978. 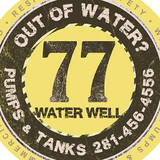 We are a Full Service Environmental Company, you don't have to call out another company, "We do it All!" We hold our own license's held throughout the State of Texas. We Provide Vacuuming, Emergency Overflow and Spill Relief, Plumbing, Septic, Grease, lint and Grit traps. In addition too, we provide full services for Aerobic Systems, Lift Stations, Real Estate Inspections, Government Aid for disaster relief, our company's services have quickly grew into a complete Environmental Service Company. Our services include, but are not limited to, Lift Station service and maintenance, sales, repairs, parts, pump outs, line cleaning, manufacturing, engineering and just about everything having to do with sewer, environmental systems, aerobic, grease, storm water, and booster pump stations. Commercial, Industrial and Residential. Elliotts Septic Services has been serving the community for over 38 years, we offer Septic Inspections, Septic Cleaning, Septic System Installations, Septic Repairs, Drain and sewer Cleaning and Repairs, Septic Design and Engineering, permitting. Drane Ranger is a hazardous waste disposal company serving the entire Houston, Pearland, Alvin, and Sugar Land. Our extensive services range right from the cleaning of grease trap, to odor control, to vacuum truck, to liquid waste management, to cleaning & maintenance of lint trap, wet well, lift station, septic tank, mud pits and grit traps, to service of wash bays for equipment, etc. The comprehensive menu of services and competitive pricing set us apart from our competitors. Our experienced team customize a solution to address each and every customer's specific needs. Drane Ranger has over 30 years of combined experience in managing hazardous waste and complex environmental projects. So, no matter if you are a residential property, a small company, or a large enterprise with complicated waste disposal needs, we, at Drane Ranger, offers everything from grease trap cleaning to vacuum truck services and that too with obeying the rules & regulations around the industry. Now, no more fussing about the nitty gritty. You are being offered absolute liquid waste solutions. We aim for the achievement of the mere contentment of the clients as well as the proper completion of the assigned part so that the client feels satisfied from within. Drange Ranger is an accredited member of the Better Business Bureau, committed to providing the best customer experience and outstanding work. To know more about our services, visit us at <a rel="nofollow" target="_blank" href="http://draneranger.com/">http://draneranger.com/</a> & <a rel="nofollow" target="_blank" href="http://draneranger.com/services/">http://draneranger.com/services/</a>. At Royal Flush Septic Service, we provide top-of-line septic services in Cleveland, TX, and the Surrounding 50-Mile Radius, including Conroe, Porter, Tarkington, and Spring. Whether you have a large or small project we are here to help you with all of your septic needs. Our highly trained professionals specialize in: * Septic tank cleaning * Septic tank maintenance * Septic system maintenance * Septic sewer maintenance * Septic system care * Septic tank pumping * Septic tank & cesspool maintenance * And much more To find out more about our services and what we can do for you, contact us today. We look forward to assisting you. 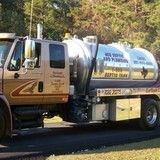 All American Septic is the largest septic specialist in the area. We are committed to providing our customers the best service in our area, so give us a call today to get started. All American Septic makes sure you receive the type of old-fashioned service that will keep you coming back year after year - at affordable prices. With proper care and regular maintenance from All American Septic, your septic tank will last for years. Each septic tank is custom-sized to the household, and needs to be kept free of harsh chemicals to operate at maximum efficiency. For over three decades, AAA Action Septic Service has been servicing Montgomery County, Harris County, San Jacinto County, and Liberty County. Our great grandparents were in the domestic waste industry since the late 1940’s. We understand how tough times can be, thus, we strive to provide septic service to your satisfaction. We go the distance. If you live outside of this area, give us a call and we will give you a FREE quote! Longhorn Septic Services is Livingston’s premier commercial and residential septic services provider. Contact us today for unbeatable deals 936-967-8427. When it comes to septic tanks and systems, it’s pretty much never a DIY situation. A malfunctioning septic system can contaminate The Woodlands drinking water supplies and cause flooding, as well as create sewage backup and biohazardous situations. If you need a septic system installed, pumped or repaired, hiring a certified The Woodlands, TX septic professional is a no-brainer.